An appalling and heartbreaking story. A family and a child who need your prayer. Kirill was found by his mommy and daddy on an adoption list. They worked feverishly to get all his paperwork in so they could bring him home. And during that time of working to bring Kirill home they found that Kirill is the first child from his region in Russia EVER to be adopted with Down Syndrome. A birth mother keeping her child with DS is unheard of in this area of the world. Adoptions of children with DS just don't happen in this region, these children are literally hidden away from society in orphanages and mental institutions. As it turns out Kirill would be a pioneer. If Kirill's adoption was approved, it would pave the way for other children with special needs to be adopted from this region as well. "Your application to adopt is rejected"
Kirill is "not socially adaptable" due to his "medical condition" and he is better off in an institution than in a home with a family. 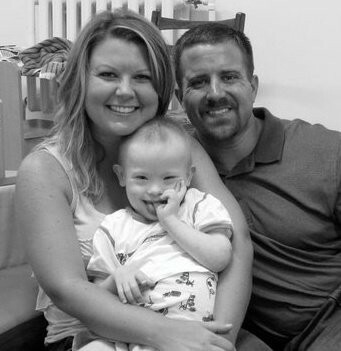 The Judge did state several times that Greg and Tesney were a good family, that they met all the criteria to adopt a child, but that she would not approve our adoption because Kirill has Down Syndrome. She told them that they could adopt another child, because legally our application had no problems according to Russian adoption law. She said she would approve their adoption for a 'typical' child, but not this child. The ONLY reason? Because Kirill has Down Syndrome. Linny over at A Place Called Simplicity has organized a day of prayer and fasting for Kirill. Click here for more details. May Our Lord bless little Kirill with a loving family with warm hugs and understanding. I am speechless. What Greg and Tesney must be going through I can not even imagine. I will be sending love there way! Following from the UBP. What an absolute atrocity for that little boy. My heart breaks for him and the adoptive parents. To see him smiling in his adoptive moms loving arms and to have it all "rejected" makes me sick to my stomach. I will be praying for this little one. God Bless and thanks for sharing.